How Does DNA Testing Work for Paternity? A husband may suspect his wife’s child is not his. A mother may want to test a man she suspects is the father to make him legally and financially responsible for a child. You don’t have to speculate or look for similarities in the facial features of the father and child. Simple and inexpensive DNA testing can put suspicions to rest and put an end to accusations. You may wonder how DNA testing works and why it’s the method widely accepted in determining paternity. Here’s what you need to know. DNA, or deoxyribonucleic acid, is the genetic material in the cells of your body. It’s the genetic code that determines your characteristics. Human beings are 99.9 percent identical. That one percent that is unique determines your hair color, your height, your eye color, as well as your risk of such things as heart disease. DNA is present in most of your cells, so a DNA sample can be taken from several places. The sample is usually taken from the cheek and is called a buccal swab. A swab, similar to a Q-tip, is rubbed on the inside of the cheek to collect cells that contain DNA. Samples from the child, mother, and alleged father are tested in a lab. Your DNA is unique from anyone else’s DNA. You get one-half of your DNA from your mother and the other half from your father. When a child’s DNA is tested, the genetic characteristics of the child are compared to the genetic characteristics of the mother. Those characteristics in the child that aren’t found in the mother had to come from the father. The testing results in a DNA profile. You can think of it as a DNA fingerprint. If the DNA patterns of the child and the alleged father do not match on two or more DNA probes, the alleged father is not the biological father of the child. If the DNA panels match on all probes, the likelihood that the alleged father is the biological father of the child is 99.99 percent. The results of DNA testing are available within a couple of days. You can get home kits for DNA paternity testing in Jackson, MS. The kits contain the necessary materials and instructions. Simply use the swab to collect the cells from your cheek and the cheek of the child. Return the samples to the lab for testing, and, within days, you’ll know whether you’re the father of the child. Kits can be sent to different locations to collect swabs of more than one potential father, but for the results to be used in court, the process must be monitored, and steps must be taken to confirm the identity of the participants. Paternity can become an issue in a divorce case. The court will order DNA testing before a man is ordered to pay child support for a child that may not be his biological child. 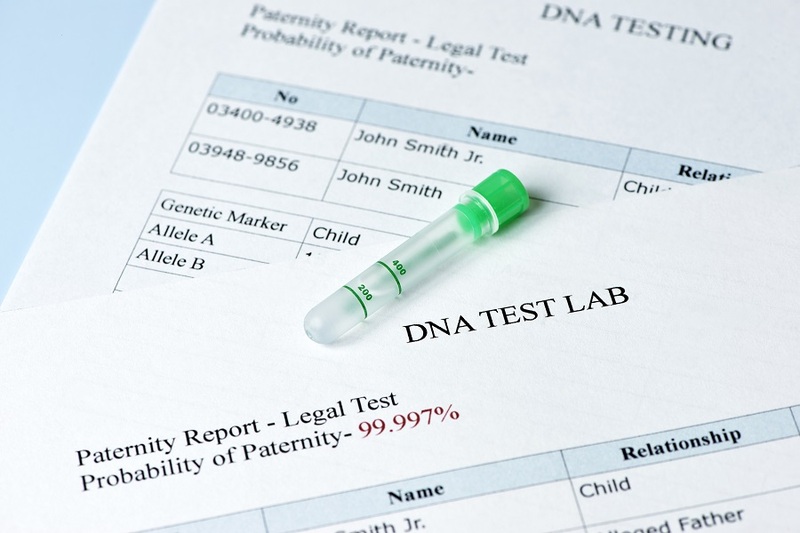 If a mother files a paternity suit, she’ll prove her case by having the alleged father submit to DNA testing. Contact Mobile Drug Screen Inc. to get fast, accurate, and affordable DNA testing. You’ll get professional services by trained and certified personnel, and your results will be confidential. ©2019 Mobile Drug Screen. All Rights Reserved.